The UK are pioneers of dance culture and we are looked to from all over the world for our underground music, and if it wasn’t for the U.K.’s clubs we wouldn’t have genres like acid house, jungle, garage or grime. Clubbing in cities like Berlin or Amsterdam is booming, but in the UK over the last 12 years we have lost over half our nightclubs to greedy property developers and local councillors. ..are just some of the popular clubs forced to close their doors and be replaced by generic luxury apartment blocks. We will always love our big nights out, partying with friends and dancing to great music? So since losing so many great clubs to the property developers, how has club land changed & how has the super club survive? will this transition open doors to new artists looking for their first big break? The nightlife and clubbing industry has always been an easy target for local councils who wish to bring about there closure in order to suit a financial agenda. By sensationalising links between the clubs and local drug crime and by taking advantage from the ever changing housing landscape to stir up noise complaints they have justified the enforcement of strict rules the entertainment venues have to abide by or face closure, making late night entertainment virtually impossible. 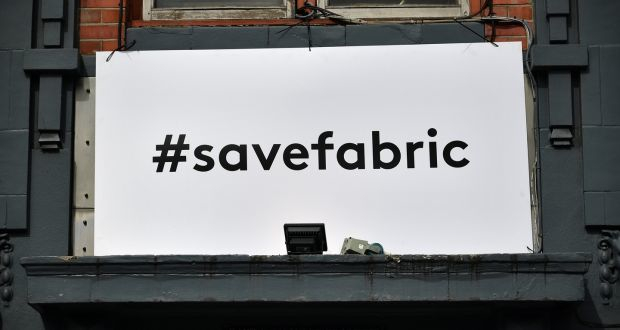 One of London’s most successful super clubs, Fabric, well known worldwide and responsible for launching the careers of many famous DJs caused a social media out cry over the course of its closing and unexpected reopening in 2017. The club made national news after two teenagers Ryan Browne and Jack Crossley tragically died after taking what they believed to be ecstasy in the nightclub. The police then urged the council to revoke the clubs license, accusing the venue of having a “culture of drug use” An accusation that was strongly denied by Fabrics management, who accused the police of deliberately misleading the public by blaming super clubs as the root cause of drug crime and conveniently leaving out all other factors. The council did temporarily take away Fabrics license but this sparked a huge outcry across social media. Over 100,000 joined together to express their frustration with the decision, calling on councillors give the club back its licence. The campaign gained support from well-known DJs and musicians, including, Professor Green, Fatboy Slim and the Chemical Brothers. Eventually Fabric was granted permission to reopen but only if it could enforce a number of strict new conditions. These conditions included an over 19s policy enforced with a controversial ID-scanning system that logged the details of every young person entering the club so if anyone was seen to be causing trouble or attempting to sell drugs they could be identified instantly. Other super clubs began adopting similar restrictions in order to avoid being easy pray for local councils interested in bringing about their closure. Unfortunately these strict age conditions and ID policies excluded the next generation of young clubbers forcing them to find alternative ways to party. This has brought about a revival of the illegal rave scene or as its better known to its young promoters the Free Party Scene. 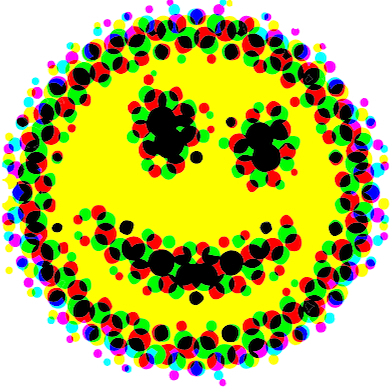 The UK has had a colourful history with illegal raves over the years, which peaked in '89 when the smiley face became the symbol of acid house; and began to decline in the mid 90s after the introduction of the 'Increased Penalties' bill which made it harder for party organisers to secure venus and locations for their parties? This more recent shift in the law restricting super clubs has reignited the illegal rave party scene. In 2017 Police identified 133 unlicensed raves in london, up from 70 the previous year however this rave revival is unlikely to last very long. The police are more prepared than they were back in the late 80's early 90's. They are prepared and far more likely to use more direct effective action to clamp down on these free parties this time round. If clubland doesn’t find a way round the restrictions forced upon them, causing them to exclude the next generation of young clubbers and if the free party scene is already doomed before it's even started. What will be left? Nightclub owners and managers are currently looking at different ways they can adapt in order to bring in new audiences and win back their younger audiences. Some are trialling unconventional private hires of their venues to host weddings, trade exhibitions and conferences so they're 'not reliant on just the nightlife club scene alone.' They are also rethinking their costs, where they were once happy to blow half the budget on a famous DJ they are now far more likely to hire a DJ based on talent rather than fame alone, creating new opportunities for new DJ’s looking for their first big gig. Super clubs are now far more likely to hire a DJ who isn't famous because current fees to book established named DJ’s are no longer sustainable. Paying an artist huge fees is no longer a guarantee way to make a night a success. If you’re a unknown talented DJ looking for your first big break, your time is now. If you can create the right vibe, atmosphere and energy for their night then you have a good chance of being booked. The free party scene will never be able to support DJs in the same way the super club can and sadly its unlikely to take off like it did back in the late '80's due to the laws put in place back then restricting them. Different party scenes will come and go but just like vinyl does for music the super club will always play a special role in our nightlife culture, enduring and prospering over the decades. So despite all the closures and the restrictions affecting our super clubs you can be sure that Club land is already making moves in preparation for its big come back. This is an exciting time for anyone starting out in the industry as periods of transition regularly open up doors to brilliant opportunities. Club land bosses are more likely to take risks, consider radically different ideas and hand out big opportunities to new faces. Maybe it's time you start some serious work on that great idea you had so you can pitch it to the powers that be. If you can get a foot in now its possible you'll get to hitch a ride on that wave as the Super club makes its big comeback.